Sukkot is perhaps one of my favorite holidays. 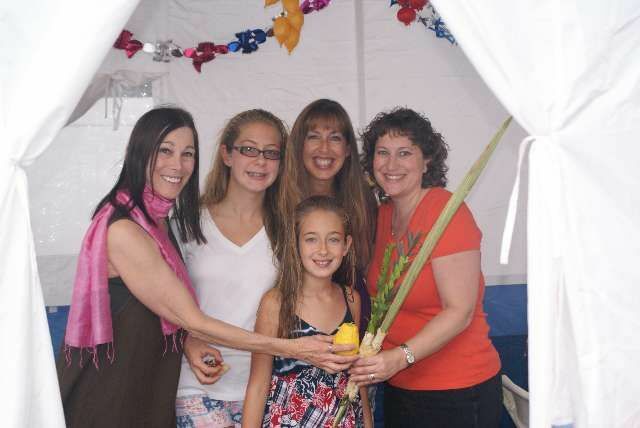 After the grandeur of the High Holy Days and the formalness of many services in synagogue, Sukkot is the holiday mainly for the home, a holiday for family and friends, neighbors and strangers. Not only is it a holiday that welcomes people into our sukkot, the booths we build in our backyards which remind us something I love to do; not only it is a holiday when we remember our ancestors and our loved ones; but it is also a holiday designed for people like me, who love welcoming friends and family, neighbors and strangers into our sukkot, to have a bite of challah, drink a little juice, shake the lulav and smell the etrog. Our family builds a sukkah each and every year, and some years we have dozens of guests, and some years we have hundreds of guests. Some years we eat many meals in our sukkah and other years we eat only a few. Our children have always invited their Jewish and non-Jewish friends into our sukkah, teaching them about the holiday, creating an art project or edible craft. For one week each year, our sukkah exists, to remember the Jews who wandered the desert for forty years, to remember Jews and people today who do not have the good fortune of living in permanent homes, but for whom we pray that some day, soon, they will have a structure they can call home. The conclusion of the week of Sukkot is the holiday of Simchat Torah, another personal favorite. Celebrating, honoring and welcoming our new students in our religious school program is such a joy. Dancing and parading the Torahs from the Holy Ark to the Ballroom or Social Hall, where we dance the traditional seven hakafot to lively music reminds us of the energy and magic of the Torah, and all that it contains. Then, a personal high, is unrolling one Torah scroll in its entirety, so that we can read from the very end of Deuteronomy to the very beginning of Genesis, without so much as a breath. The sweetness of Torah is in our hands; the magnitude of Torah and its potential is before us.